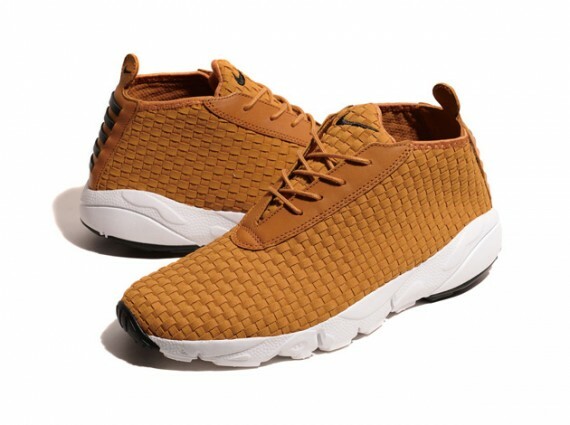 Nike has added to the Air Footscape family with the addition of the new Desert Chukka Woven. Featuring a tightly woven upper, the shoes are accented by leather eyestays, collar and pull tab, and finished off with a white outsole and matching laces. The Quickstrike release will soon be available in your choice of black, tan and burgundy colorways at select Nike QS stockists. 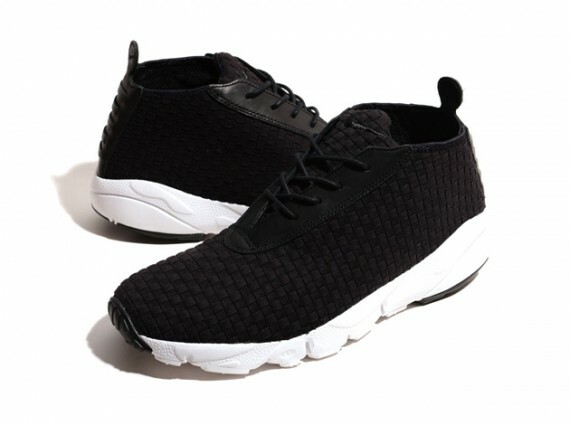 This entry was posted in Footwear, Nike, Sneakers and tagged Air, Chukka, Desert, Footscape, Nike, Sneakers, Trainers. 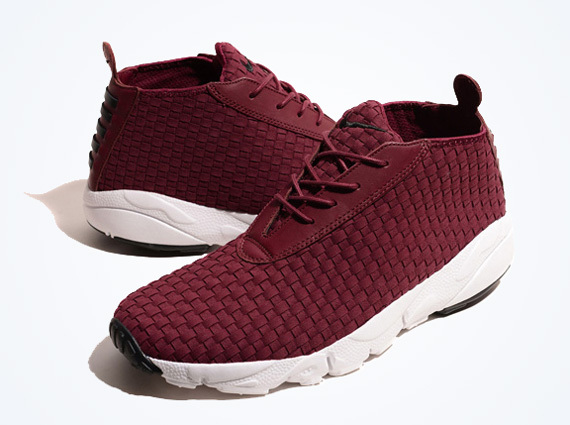 Kicks, Woven+. Bookmark the permalink.